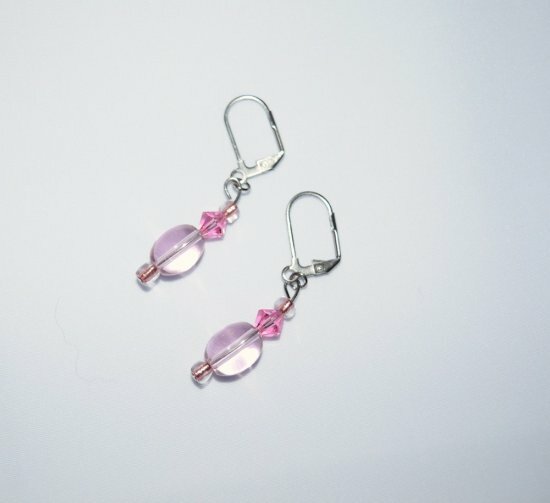 Handmade sparkling earrings with pink Swarovski faceted crystal bicone, translucent pink glass oval bead and pink-lined clear E beads on hypoallergenic stainless steel lever backs. From my Think Pink collection. The pink color was very difficult to capture on film so I have attached a group shot that may give a better idea of the actual pinks.